Obama DHS Shuts Down Investigation into Terror Couple's Islamist Group to Protect "Civil Liberties"
The Obama Department of Homeland Security shut down the investigation of Syed Farook and Tashfeen Malik’s terrorist group to respect the civil liberties. Syed Farook and Tashfeen Malik murdered 14 innocents in California last week. A former employee of the Department of Homeland Security told Megyn Kelly last night DHS could have prevented the San Bernardino attack but called off the investigation. 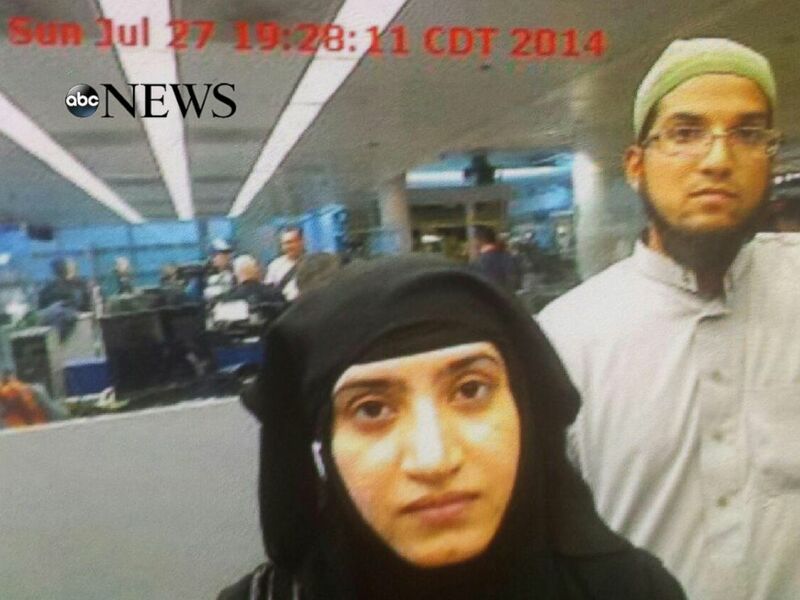 The Department of Homeland Security (DHS) has been accused of deleting intelligence records relating to dangerous Islamists linked to terrorists Sayed Farook and Tashfeen Malik, because they wanted to protect the “civil liberties” of members of the caliphate-supporting network. Phil Haney, a U.S. Customs and Border Patrol analyst, says he was ordered to stop investigating Deobandi Islamist groups and his work on them was erased. He even says he was subjected to a disciplinary when he attempted to blow the whistle. If he’d been allowed to continue his investigation, he claims Malik’s visa application would have been flagged for greater scrutiny. He explained: “The administration was more concerned about the civil rights and liberties of foreign Islamic groups with terrorist ties than the safety and security of Americans”. Analyst Phil Haney told Fox News that he once worked as a researcher looking into potential terrorists in the Passenger Analysis Units at the Department of Homeland Security in Atlanta, as well as at the U.S. Customs and Border Protection’s National Targeting Center. Mr. Haney says that he had been identifying and tracking members of the al-Huda and Tablighi Jamaat groups, offshoots of the radical Deobandi school of Islam, which was founded in British colonial India specifically to oppose western culture.